Library publishing (including new-model university presses housed in libraries) is in its infancy in many countries around the world. 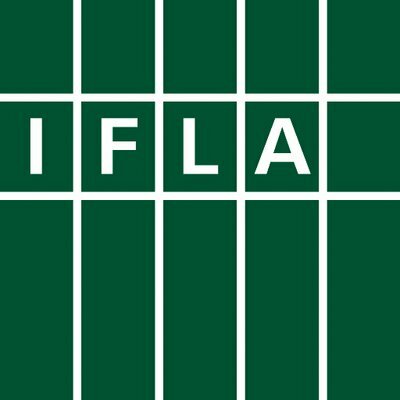 The IFLA SIG aims to bring together experienced practitioners and would-be publishers to share information and advance this exciting field of endeavor. New and emerging library publishers will gain insight into the experiences and practices of established presses, and all attendees will learn from new and innovative approaches. The presentations from both sides and the ensuing discussions will advance the excellence and sustainability of library publishing ventures. The SIG welcome proposals of presentation types including 30 minute presentations, fifteen minute lightning presentations, round table discussions and workshops. International knowledge exchange: to feature a range of presentations from new and established library-based publishers sharing their successes, discussing their challenges, and identifying lessons learned. Topics may include program development, editorial and production processes, and use of technology to support publishing. Presentations will be interspersed with breakout table sessions for reflection and discussion. Concluding Workshop - Challenges in Library Publishing: to feature a panel comprising international experts, fielding questions from students, audience members and virtual attendees. For me, one of the most important personal archives on the web is the Fanning Sessions Archive. I spoke to the person behind the archive and asked them a number of questions about the archive itself, personal digital archives in general and, of course, music. Below are the answers. In ten words or less what is the Fanning Sessions Archive? Why did you set up the Archive? I was frustrated that the sessions recorded for Dave Fanning's 2FM show in the 1980s and 90s were not getting any recognition. They are Ireland's equivalent of the John Peel sessions but do not seem to be appreciated. RTE seems to have forgotten them. I saw so many great bands over the years, many of whom never released albums or singles. Dave Fanning and Ian Wilson had many of these bands in to Studio 8 to record sessions and these were lost apart from those I had personally recorded from the radio. What is involved in digitising a session or demo? I play back the cassette recording on a good HiFi separate unit which is attached to a portable SONY digital recorder via the line-in interface. I record / digitise the cassette either to a lossless format or to a 320kbps mp3, one single recording for each side of the tape. I know the purists are probably having a fit right now that I don’t always digitise to a lossless format but I don’t have the disk space or time! I copy this digital version to a computer where if necessary I convert to high quality mp3. I then listen back to the recording and identify and individually save the tracks of interest. Before posting I usually normalise the track to balance left and right levels and boost the audio. I also fade in and out the start and end of the track to editing out previous and next tracks. If Dave says something interesting I like to leave it in place but usually the taper has edited this out. The hard part is sourcing recordings. At the start I used my own personal tapes but they were quickly exhausted. Unfortunately at that time in my life when I was diligently listening to Dave Fanning I reused tapes rather than buy new ones. Later, thankfully, as word got out people starting getting in touch and started to send in recordings, mp3s, cassettes, VHS and even some white vinyl. Many people have been very generous over the years and have lent vinyl and tape collections. I was lucky enough a few years ago to make contact with Thomas in Kilkenny who it turned out had hundreds of Fanning recordings diligently documented. Pat O’Mahony sent me over a hundred tapes from his collection which he managed to have personally delivered by a former senator. I also post the occasional interview. Just recently I received a great Grant McLennan recording which was very much appreciated and well received. People have fond memories of hearing these items on the radio so it is nice to preserve not just the recordings but also the memories they evoke. Any advice for anybody thinking of setting up a personal digital archive? Do it. Don’t waste too much time. No one is getting any younger, memories are fading and you won’t have more time later. Chances are if you enjoy something enough to want to share it someone out there enjoyed it too. What role do you see for personal archives? In certain circumstances such as with the national broadcaster I think personal archives are the only option. Imagine how much content RTE is sitting on. That content is to all intents and purposes lost because there is no scenario where it makes financial sense for them to do anything with it. They are apparently digitising the Fanning sessions but let's be real, are they going to release these? They don't have online rights so they will have to request permission from the artist before they can share online but that requires manpower, time and energy i.e. money. As regards the TV music shows there's even less hope. The costs are more prohibitive so unless it's U2 or Phil Lynott or Rory Gallagher related we're probably not going to see it again ever. Why not rerun the 'Anything Goes' music clips on TG4 late at night or some of the music shows like 'Borderline', 'Visual Eyes', 'Megamix', 'On The Waterfront' or 'No Disco'? Do you have any background in digital archiving? If not, how did you learn the tools of the trade? Trial and error, step by step. I applied techniques I liked that I saw being used by others. The process evolves as the technology improves. You can scan now with a phone which is fantastic. I have honed my workflow so i can digitise quite quickly and then circle back at a later point to process the recording in a more detailed way if I discover there was something there of interest. Without having studied archiving techniques I am probably using a light version of what should be done, adding metadata so that I can find stuff later. You obviously think archives are important – why is this the case? I think I am documenting/archiving an Irish musical history for a certain period of time / genre of music. Irishrock.org has done a fantastic job of documenting most of these but what’s missing is a way to hear what the bands sounded like. Once upon a time MySpace featured many of these acts but that technological experiment crashed and burned. YouTube has a lot of content but it's an ocean with no curation. What I have tried to do was bring everything together into a repository of Irish content never released on record or very hard to find (going off on the odd tangent to scratch a particular personal itch / plug something I like). The site is a starting point, but I am also aware that it is a honey pot. I want to attract folks who are interested and get them to engage. I think it is important to be able to leave and receive feedback. The internet is not always right so it is nice to be able to correct the public record and let people listen and make up their own mind. It’s not about glorification with rose tinted glasses but remembering how things were. What are your favourite Archives? What other Digital Archives would you recommend? I am a big fan of irishrock.org, it's my first port of call when doing a post. The Blackpool Sentinel is great, Colm O'Callaghan has a way with words and great musical taste. There have been a few websites that have come and gone, 'These Auld Tapes From The Attic', 'Rekcollector' , 'Brand New Retro' has had some great music pieces, 'Dublin Opinion' ran a series 'Great Irish Bands' which has to be read. The history site 'Come Here To Me' has also done some fine pieces on Irish rock . More recently Abstract Analogue on Facebook have been posting some great articles/scans on 90s Irish music that I am enjoying. There are probably more that I am forgetting. Hot Press is sitting on an amazing archive but it is not online. Thankfully some libraries have physical copies so you can go there to have a look. The John Peel Wiki and mailing list has long been an inspiration. Irish Music Central is another great source of information, unfortunately the site underwent some rework which never got completed but a lot of the original content is still there. Irish Nuggets is another site that is well worth checking out. It's this guy who put together some serious compilations of tracks sourced from his vinyl collection which must be huge. What is your personal favourite session? Just one? That’s an impossible question! The 1988 Slowest Clock session is one that every time I hear, am blown away by how strong it is. The Wild Herrings session is another that I love. But that's just off the top of my head, I need to look at the list of sessions posted to see what others are favourites. I have long been a fan of a band from Derry called Bam Bam & The Calling but I'd never heard their session. I was delighted to come across it and even though the cassette quality wasn't great I discovered a song of theirs I didn't even know existed - 'Road of the Lonely' which sounds fantastic. What is your personal favourite demo? Is there anything you don’t have up on the site that you would like to have up? There are a couple of tracks I took down at the request of the artist. Both of those I think were great but I have to respect the artist's wishes. One other recording never made it up because after a protracted investigation trying to identify the recording I asked via a third party for permission to post but was turned down. That was a real anti-climax as I was looking forward to sharing. You are very active on social media – how important is it for the archive to be so active? If I was on my own I would have stopped a long time ago. The feedback & the conversation on social media is what keeps me going. Social media is also an important research tool. I often come across bands or recordings I can’t find any information on and social media has been invaluable. Facebook has its uses but it is very difficult to locate information or past conversations if I need to go back and find something. I would like to see more comments on the site. It is particularly satisfying to hear from the musicians involved, many of whom haven't heard these recordings since they were broadcast. The majority are happy to hear their music again and are flattered that folks remember and have fond memories. Sunday afternoon saw me heading over the border to the bright lights of London town ready for my first Challenges in the Scholarly Publishing Cycle (CISPC) 2018 conference the next day. Around 50 people attended with a mixture of information professionals, researchers, publishers, intermediaries and consultants. Overall the conference was great, I heard valuable feedback and insight from different stakeholders and most importantly met some new people and old faces. People traveled from all over the country, some flying in from Israel, the US, Belgium and Ireland for example though no representation, sadly, from further afield like Asia Pacific, India etc. However, we did have a number of people with a great deal of experience in these areas to enrich the insight. As expected, the majority of attendees were publishers/intermediaries keen to find out what the other stakeholders had to say. So it would be great for future events if more can be done to encourage further researchers and information professionals in addition to lower delegate rates. Maybe publishers/intermediaries can sponsor researcher/information professional delegate places. It would also be great to see representation from the funders themselves. I am sure they would find this event really invaluable and we of course want to hear what they have to say. Also, consultants are usually one man bands and having to pay the same as a large publisher. This be challenging when there are several events to attend during the year and the registration fee is roughly five times more than UKSG annual membership and double that of a CILIP annual membership for example. Interestingly, as consultants work with a number of stakeholder groups on various projects, we can bring even more perspective to the different discussions, fresh insight. Essentially, we can be very open with our feedback without feeling possible repercussions. You’ll notice that I talk about Information Professionals. Primarily in attendance were academic librarians and those who weren’t, e.g. from a corporate background, found the discussions to be too academic focussed and didn’t feel well represented in their feedback from the morning breakout discussions when presented to the room – a real shame and a missed opportunity for all as they weren’t around for the afternoon sessions. The London Art House was quite a quirky venue and in some ways a refreshing change from the usual hotel/conference venue; surprisingly, the internet connection was pretty good too! Sitting having open discussions in the highly decorative ‘Egyptian’ themed room was certainly something I’ve never experienced before – here’s Erin’s tweet to give you a visual! The day’s agenda was set around collaboration and discussion for the three ‘identified’ stakeholder groups - Librarians, Academics and Publishers. This classification posed challenges – as a consultant I somewhat floated between and had feedback from all parties through research/interviews we undertake on a regular basis. It would be great to include funders in the discussions, we’d love to hear that feedback, and them to hear everyone else’s. Tim Gillett, Editor of Research Information chaired the agenda throughout the day. I’ve summarised my thoughts below on each session – I realised I took far too many notes and so have condensed them down. You’ll be pleased to read on to more digestible chunks though there is probably still way too much! Warren Clark, Publisher of Research Information and David Stuart, Research Consultant, presented their recent survey findings for ‘The Scholarly Publishing Research Cycle 2018’ survey. Interestingly, from all my years in publishing, my perception of the Research Information readership was more of a publisher trade publication and so I was pleasantly surprised to hear that the readership is 60% librarians, 20% publishers and 20% others. There was the recognition that there needs to be more researcher involvement in these types of events and surveys. Warren raised some interesting points – more metrics available however abundance doesn’t mean improvement, rebalancing of power (Germany/Sweden and S Plan), collected action with librarians which should continue. Most notable issues from the survey were around Open Access and Licensing, Discoverability, Accessibility, Trust and Validation, and Policymakers’ Scholarly Publishing Policies. The room commented that it would be interesting to understand the regional differences, as well as the stakeholder differences, including Funders, and interviewing those that didn’t respond, including more regional responses e.g. APAC. Stakeholder categorization seems a bit old hat now. All great feedback for next year’s report. Gatekeepers – are these publishers now also information professionals – is the publisher a curator (e.g. because of DOIs etc.) as well as an information professional? If we have no fences, do we even need gates? Open data - how can we get the data from an article, what is the providence and how reuse? Scientists not believed anymore - how do we change this? Room comment - No one is talking about the China policies - what about policies from other countries? China data policy issues - China publishing landscape changing - more open access journals being created that are good quality. In 10 years there will be a more Chinese centric approach. We'll start submitting to English language Chinese journals. People will be going over there for research jobs. Librarian focused - issues with outcomes - policy/funders, REF, manual process, standards, PIDs, metadata, communications with publishers and libraries - what published and when - publications JISC - manuscripts end up in repository, publication checklist for researchers about what to do next, primary focus has been on UK mandates, funding - how are APC funds managed, libraries and publishers trying to do the same training - can they work together? Maybe researchers more attracted to publisher session than library session, collection action - university presses, UCL. Researchers - measurement of research - imperfections of impact factor, abandoning journals entirely. Researchers need to know more about what publishers do and what they contribute to the process. Publishers - we all generalize too much, Publishers need to be more transparent and Publishers need to do more – e.g. send the papers to preprint repository services. It seems the day was a success for most and some interesting points were made – however we can discuss things as much as we like – it depends if there is going to be any action – I’d like to see some people taking ownership helping to drive some actions forward – there are often key players in the room who have the ‘authority’ to do this. One point I commented towards the end is that as a consultancy we have a number of commissioned research projects we’re involved with and I know many other industry colleagues do these too. There must be some really great commissioned research out there held on servers that can be made open access through figshare for example so it gets a DOI for all the industry to benefit from – we can only improve and get better together. Of course, some is competitively sensitive so could have an embargo, and some of course is commercially sensitive so it won’t see the outside of the boardroom but it would be great if publishers and intermediaries collaborated more and shared their insights, beyond the meet ups and discussions usually held at a more senior level – which on some occasions isn’t filtered down the team structure. If we want scientists to collaborate with open data/open science, why don’t we lead the way? An unlikely trio is collaborating to bring the attendees of FORCE 2018 a pre-meeting workshop discussing the CrediT Taxonomy, the standard that everyone’s been talking about. CRediT is a linked data initiative that allows author contribution(s) to scientific papers to be specified, transparent, and machine-readable. CRediT has been adopted by hundreds of journals, yet implementations vary widely. With backgrounds in research ethics and integrity, academic libraries, and publishing, researchers Mohammad Hosseini, Cory Craig, and CRediT Program Committee co-chair Alison McGonagle-O’Connell will deliver a dynamic pre-meeting workshop session to advance the dialogue. Use live online polls to gather participant opinions, conduct thought experiments, and identify topics for breakout groups. Use Breakout Groups to identify innovations and next steps. Topics to be determined by participants and might include: implementation and barriers, ethical issues, usefulness, and application in non-science disciplines. Share results from breakout groups (both during the workshop and after). Select the “CRediT: Discussing Next Steps”pre-meeting workshop (12:30-3pm) on October 9, when you register to attend FORCE 2018. This post by Victoria Archer, Queens University Belfast Library was placed Joint First in the CONUL Training and Development Library Assistant Blog Award 2018. Here, in my university library we go by a way of life entitled Task Rotation. In theory it allows all of us to gain experience and knowledge in every area of the Borrower Services workload. Three times a year we learn how to manage a new sphere of library life and impart to the colleague stepping into our shoes all of the wisdom and expertise we have accumulated during our four-month reign. We curate and update our clipboards to make sure the most critical information and mystical secrets of our task are embodied within their sacred, silvery clasp. And then, when training is complete we hand them over, along with all of the highs, the lows, and the quirks of our old life. job rotation demonstrably improved the skills and motivation of the majority of the rotatees… job rotation fosters employee learning (Campion et al., 1994), improves motivation or reduces boredom and fatigue (Walker and Guest, 1952; Campion et al., 1994) and enables firm learning (Ortega, 2001; Ericksson and Ortega, 2006). It has been one glorious year since I started to work for Queen’s University Library. Upon arrival my transition from working in the public libraries was an exhilarating and relentless barrage of learning and information. Gone were my days of issuing, discharging and tidying books for a small library attracting perhaps 100 people on a normal day. Here I was standing behind the Borrower Services Desk of an institution where the average daily footfall hits 10,000; being educated on how to navigate the intricacies of a library with over a million books. Nine months in I had graduated to one of the most complicated tasks of all – Inter Library Loan Reporting. With each task rotation my role had become more challenging, complicated and involved and I loved it. I had a diary overflowing with reminders, tips and weekly updates. I had colour-coded lists of libraries and their lending time frames. I got to know Library Assistants on first name terms from all over the UK and Ireland, and the Top Tips section I created for my clipboard extended over 4 pages. Every day was adrenaline fuelled and essentially, I felt like the Wolf of Wall Street; only with more books and decidedly less money. Time for task rotation came, and I was to be forcibly removed from my Inter Library Loan position; banished to the realms of in-house notifications. My colleagues consoled me and as the final day of my task approached I prepared to part with my high-flying role and cherished clipboard. I won’t say it didn’t look suspicious when the two colleagues taking over my duties were both taken mysteriously ill in the first week of task rotation. There were whispers that my passion for my work had gone too far, and I will admit that extra week was enjoyed with a bittersweet abandon. After two months of my new task I am inclined to agree with Earney and Martins. The variety of our rotation allows for a much more interesting and diverse career long term, where we are always learning and facing new challenges. That said – here I am, patiently awaiting the day when the Inter Library Loans come back to me. And what have I learned? Don’t poison two people at once, it looks incredibly dubious. This post by Ronan Kelly RCSI (Royal College of Surgeons in Ireland) Library was placed Joint First in the CONUL Training and Development Library Assistant Blog Award 2018. Earlier this year I joined the Heritage Collections team in the RCSI Library. On a daily basis I help with inquiries from within the College and from the general public. Another ongoing task has been the preparation of a booklet on medical instruments and innovations associated with figures from RCSI. From the College’s point of view, the booklet represents a moment of reputation enhancement: an opportunity to showcase one aspect of RCSI’s 234-year contribution to medicine in Ireland. There will be ten entries in the finished booklet, all quite varied, ranging from the late eighteenth century – Samuel Croker-King’s (1728 – 1817; first President of RCSI) improvement to the trepan (basically, advice on how to drill a better hole in a head) – to the middle of the twentieth – Terence Millin’s (1903 – 1980; President of RCSI) retropubic approach to transurethral resection of the prostate (I’ll spare the reader an image of that). Individually, these stories are fascinating and distinct (although as I researched each one the overriding question in my mind was whether it dated from before or after the discovery of anaesthetic…). But as the project wraps up I’ve taken a step back to ask myself what the discoveries have in common – and it seems to me that three interesting themes, or lessons, emerge. Despite the RCSI origins, these lessons are not necessarily medical and so I submit them here in the hope that they will inspire others regardless of their field of endeavour. Invention, or innovation, can often be the repurposing of something already in the world. Consider, for example, the case of Richard Butcher (1819 – 1891; Fellow and President of RCSI). Surgery in Butcher’s time involved a lot (really, a lot) of amputation; indeed, a surgeon’s reputation often rested on their speed with the blade. But the sharp edges of sawn-off bones were extremely painful and slow to heal – until one day Butcher observed how cabinet-makers executed intricate or curving cuts by using a particular implement whose blade could be rotated to any angle. In his mind, he swapped the nice piece of furniture for somebody’s mangled limb and lo, his adapted version – known somewhat unfortunately as Butcher’s saw – was born. Having invented his binaural stethoscope, Leared showed it off briefly at the Great Exhibition of 1851; he then sailed off to serve in the Crimean War. When he returned he found that someone who ‘admired’ his invention at the Exhibition was now manufacturing and selling very similar binaural stethoscopes. Belatedly, Leared wrote to The Lancet to set the record straight, but it is his rival’s version that set the industry standard (see Lesson 1). Something similar happened to Francis Rynd (1801 – 1861; Fellow of RCSI), inventor in 1844 of the hypodermic syringe. He neglected to write up his work and soon enough near-identical inventions appeared in Edinburgh and London. Finally Rynd staked his claim in 1861, when he published in a Dublin medical journal a fuller account of his earlier innovation. Coincidentally, following his sudden death, the same issue of the journal also carried Rynd’s obituary. Don’t let this happen to you! Failure need not be failure – or, to put it another way, failure is only failure until it is a success. This cheering lesson is exemplified by the uncheering story of 14-year-old Mary Ann Dooley, who suffered an accident working in a paper mill. She was brought to Robert McDonnell (1828 – 1889; Fellow and President of RCSI), who performed Ireland’s first blood transfusion in order to save her. Sadly, Dooley died the next day (‘without pain, and quite conscious to the last’), but McDonnell remained optimistic about the practice. He designed his own transfusion apparatus and went on to save many lives. Butcher, Richard. ‘Mr Butcher’s cases of amputation – use of a new saw’, Dublin quarterly journal of medical science 12.23 (1851): 209 – 23. Croker-King, Samuel. A description of an instrument for performing the operation of trepanning the skull, with more ease, safety and expedition, than those in general use (Dublin, 1794). Leared, Arthur. ‘On the self-adjusting double stethoscope’, The Lancet 2 (1856): 138. McDonnell, Robert. ‘Remarks on the operation of transfusion and the apparatus for its performance’, Dublin quarterly journal of medical science 50.2 (1870): 257-265. Millin, Terence. ‘Retropubic prostatectomy: a new extravesical technique’, The Lancet 249 (1945): 693 – 696. Roguin, Ariel. ‘Rene Theophile Hyacinthe Laënnec (1781–1826): the man behind the stethoscope.’ Clinical medicine and research 4.3 (2006): 230–235. Rynd, Francis. ‘Description of an instrument for the subcutaneous introduction of fluids in affections of the nerves’, Dublin quarterly journal of medical science, 32.1 (1861): 13. Rynd, Francis. ‘Neuralgia – introduction of fluid to the nerve’, Dublin medical press 13 (1845): 167-168. Don Share, editor of Poetry magazine, refers to Ireland as “a country of and for poets” – a sentiment I would not understand upon finishing the Leaving Certificate English course. I could recite Kavanagh, Frost, Rich or Yeats, or release a well-rehearsed spiel on their meanings picked from course books and class notes but on completion of the exams, my attitude towards the world of Irish poetry was apathetic at best. A class of secondary school teenagers taking turns at reading lines from ‘The Road Not Taken’ had never really done much justice to Frost. At university, I chose no poetry modules until my final year when one particular class caught my eye: Modern American Poetry. It was the first poetry class I had encountered where we listened to contemporary poets reciting their own works. Simply put, it changed my mind about poetry. I witnessed a rawness of emotion, a certainty of rhythm. I came to understand how some poets have a truly distinctive voice, giving life to the poetry itself. My poetry education came to an abrupt halt at that point, as I went on to complete a Masters in the History of Art before stepping into my role with UCD Library. I brought with me skills in customer service, financial administration, and photography (among others) and I happily put these skills to good use. It came as quite a surprise when a request landed on my desk: assistance was needed in the administration of the Irish Poetry Reading Archive (Taisce Aithris Filíochta na hÉireann). The Irish Poetry Reading Archive is a repository of recordings of Irish poets. They each select eight of their own poems to read, for which they give a brief note of context – detailing their influences, intent or inspiration. We make the recordings available for free via the Archive’s YouTube channel, and the video is preserved within UCD’s Digital Library. We store a signed collection of the published works of these poets, and the books remain accessible to our users. The poets also provide us with handwritten manuscripts of their poetry, available to readers via our Special Collections Reading Room. Part of my personal work with the archive involves acting as liaison to poets, being their first point of contact and arranging anything necessary for recording sessions. I have acquired a unique view on their feelings towards Irish poetry and with regard to the archive itself. With print runs of poetic works often being quite small, our archive works to preserve as much as possible. Many poets have informed me that they are grateful that their work is being stored securely and will be accessible to future generations of readers and poets alike. From the archive: Handwritten manuscripts of poems by Jessica Traynor, Michael Longley, and Doireann Ní Ghríofa. I believe poetry is integral to Irish traditions. Our oral heritage is still alive and well, and we have a duty to preserve it as much as those who first documented Irish song, poetry, and folklore. In my time with the poetry archive, many of the poets have recited works influenced by current or recent affairs – including the movement to Repeal the 8th amendment, the homelessness crisis, poverty, Direct Provision, and the Tuam Mother and Baby homes to name just a few. It offers an insight into the current challenges, wrongs and rights of this country, explored through poetry in a very candid, honest way. Some of our recordings situate themselves in specific spaces in time and I hope will provide an understanding of our current world for future generations. The project has changed my personal relationship with poetry, and I hope that my work aids in the preservation of Irish voices not only for future generations, but also for current students of Irish poetry. Over the last number of months, we have recorded poets who feature on the current Junior Certificate curriculum. We will work to make their recordings accessible to schools, so that students can experience how the poets read them and the individual qualities a poet’s personal voice provides. Education has changed greatly even in the few years since I have left school, and we hope that our multimedia archive will aid in teaching of poetry. Don Share was absolutely correct in referring to Ireland as a country of poets. I should know – we have a long list of poets recorded, with an ever-growing list of those we are yet to record. When he said it was a country for poets, I believe that is where our library should play its part, by continuing our project to capture as many voices of Irish poetry as we possibly can. I am a small part of a much larger team that includes staff from UCD’s Media Services, our Special Collections, Collections, Outreach, and Research Services departments, and of course the gracious contributions of Irish poets. Share, D. (2015). Don Share: ‘Ireland was and remains for me a country of and for poets’. [online] The Irish Times. Available at: https://www.irishtimes.com/culture/books/don-share-ireland-was-and-remains-for-me-a-country-of-and-for-poets-1.2329231 [Accessed 7 May 2018]. CONSERVATION OF A GAELIC MANUSCRIPT AT MAYNOOTH UNIVERSITY LIBRARY. When I am asked what a book and paper conservator is, the usual response is ‘you must have a lot of patience’ or ‘you must be good at jigsaw puzzles’. In reality, neither is true. Instead a rich mixture of history, science, ethics and practical bench skills informs my practice in the studio and helps me in the protection of our cultural heritage. It is important to protect these individual, physical, bound items as they inform our understanding of how the information within was read and shared over the centuries. This is especially so when the text is rare or unique. There are a number of preventive measures used to mitigate future damage from use or environment but sometimes interventive treatment is necessary to consolidate deteriorating material. This blog will look at the first volume I conserved in Special Collections and Archives after joining the team last February, the manuscript written by Seán Clárach Mac Domhnaill in 1720. In early 2018 the Churchtown North Cork Heritage Group requested a number of pages from this manuscript as they wished to have the surrogate pages bound and displayed in their meeting house. It belongs to the collection of fifty Gaelic manuscripts from St Coleman’s College, Fermoy which was brought to Maynooth in 2013. Further information can be found in the MU Library Treasures blog by Yvettte Campbell. Volume 20 (Gaelic Ms. Vol. 20) contains multiple items. The first hundred pages are the manuscript followed by; a list of Subscribers, part of the Dublin Chronicle (6th October 1817) and Keating’s History of Ireland. Figure 1:Tears and burns to text block. Losses of paper and previous repairs. Digitisation requires significant handling and it is important to assess the risk to the original material beforehand. It was agreed that in its pre-treatment state, the volume was too fragile and there was risk of losing unique information. The first third of the volume had large tears and significant losses of paper (especially true for the first few pages) and the old repairs were both obscuring text and damaging the page substrate. The list of subscribers also has structural tears and areas of the page are detached. This manuscript has a half-leather binding and the leather on the joints and corners was beginning to chemically deteriorate. A consolidant (a mixture of klucel G and isopropanol called Cellugel) was applied to improve the cohesive strength of the leather. As this was evaporating, the text block was cleaned with smoke sponges. Most of the dirt was already ingrained but this removed surface particles which could be abrasive to the paper. Previous repairs had been adhered with a weak water sensitive adhesive. In many areas adhesion had already failed but removal was assisted with moisture from wheat starch paste where necessary. This was replaced with Tengujo paper (12gsm) as it is thin enough to read the text underneath but still strong enough to hold the repair together. Wheat starch paste was also used here, but as an adhesive this time. There were significant losses around the edges and a heavier weight Usumino paper (28gsm) was used as it was similar in weight and thickness to the pages of the manuscript. The infill was ‘cut’ out using a needle to ensure a fibrous edge and attached to the page on either side with Tengujo and wheat starch paste. Figure 3: Infilling loss of paper; before, during and after treatment. There were no structural problems with the binding. Both boards were firmly attached and the spine was intact. However, the leather had split at the head and tail of the left board joint and leather had been lost from the corners. The corners were originally made of leather but I chose to repair with a toned Japanese paper. It is a strong and quick repair and the tissue can easily be matched with the original leather. However, it is different enough in texture and depth to look like a contemporary intervention in the volume. The privileged position I am in as a conservator means I have the time to become familiar with these beautiful volumes and see them in a temporary deconstructed state. It is so exciting that this often time-consuming and always delicate work has allowed more people to see the lovely handwriting within. The original may be in a four-flap enclosure on a secure self in the Russell Library but its digital surrogate is publicly available.